DURHAM (WTVD) -- A freeze warning is in effect for some counties in central North Carolina until 10 a.m. Sunday. Temperatures will plunge to the mid 20s in some areas. The cold air will warm to low to mid 50s on Sunday. 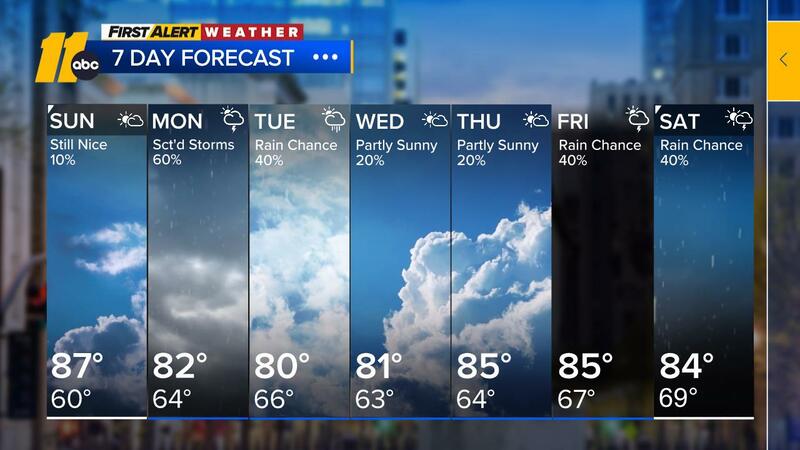 "A fast moving front will swing through North Carolina Monday morning, giving us partly sunny skies and a brief shower is possible," said ABC11 First Alert Meteorologist Steve Stewart. High pressure building into the area will provide a sunny and milder day Tuesday. Wednesday will be dry and mild as well, with temperatures approaching 70.